We designed and operate our website and Applications with our users’ protection and privacy in mind. Kids under 18: Please get permission from your parents/legal guardians before using the ZoomChess Applications or Website or sending any email to us or anyone on the Internet. If you wish to subscribe to ZoomChess, your parent/legal guardian needs to complete the registration and subscription for you. Educators: Please get permission from the minor’s parent/legal guardian before allowing minors to use the ZoomChess Applications or Website or to send any email to us or anyone on the Internet. If you wish to subscribe to any of the ZoomChess Websites on behalf of minors, you are required to receive their parent’s/legal guardian’s authorization to complete the registration and subscription. In order for a student to use the fee-based ZoomChess application, and/or the ZoomChess Learn to Play application, and/or any other ZoomChess products (together referred to as “Applications”) a parent or legal guardian of that student must first register at the ZoomChess.com website. If you do not register, you and your student(s) will not be able to use the ZoomChess Applications. The registration process will require you to provide your first name, last name and email address, create a username, and identify whether you are a student, parent or teacher/coach. This is called, “Registration Information”. When you and your student(s) use the Applications, ZoomChess will automatically collect information about your patterns of usage, order history, participations in specials/promotions, session data, and other information relating to usage, choices, and preferences, including that of your student or students. Registration Information and other information may be used by us for demographic profiling and targeted advertising, although in such cases the information will be aggregates as anonymous statistical information. ZoomChess WILL NOT sell, trade, or assign any unaggregated personal information that collects to third parties outside of ZoomChess. Your email address may be used to send a confirmation email at registration, as well as information and updates to the Applications. In some cases, we will also email your student’s personal reports to you, with information about the progress your student(s) is making on the Applications. We may use the email address as an additional means of communicating with you about the Applications and ZoomChess, including notifying you of updates to the website or its policies. Your student’s name will be used to customize you student’s experience in the Applications, as well as to personalize reports and updates on your student’s progress. We do not receive or save your credit card information, as Paypal handles credit card processing. Participation History will be collected for client care, marketing, development, and other operational and business purposes, including improvements to the Applications by ZoomChess. ZoomChess collects information directly from your student, over the internet, in the form of interactions that your student make when using the Applications. We refer to the data resulting from such participation, which includes but is not limited to data on when your student starts and stops using the Applications, the responses your student makes to questions asked, the timing of your student’s responses, your student’s choice of activities while using the Applications, and your student’s choice of lessons as “Performance Data”. We will use Performance Data to (1) measure your student’s performance in each lesson of the ZoomChess Applications and adapt the Applications to his or her learning needs, (2) analyze your student’s Performance Data and provide you with periodic progress reports about your student’s performance in the Applications, and (3) improve the Applications. If we ever need to collect information that is not Performance Data directly from your student, ZoomChess will seek your authorization prior to collecting such additional information from your student. In addition, we may aggregate your student’s Performance Data with the Performance Data of other students using the Applications for marketing and other business related purposes. Aggregate information will be ANONYMOUS and will not identify your student. Because ZoomChess Applications are individualized and customized for each student, all the information we request from you and your students is required for you and your student to use the Applications, with the exception of certain information to be used for our marketing purposes to you only. At any time, you may revoke your consent to allowing your student to use ZoomChess Applications, or refuse to allow ZoomChess to further use or collect your student’s personal information. Any ANONYMOUS performance data will be retained, but we will no longer use any identifiable information regarding you or your student that you have provided. However, if you do any of the foregoing, you and your student will not be able to use the Applications. In order to use the Applications, you will be asked to submit certain personal information about your student and you, and to authorize ZoomChess to use that information in a limited number of ways. Your password will be automatically generated, and this password is required to access the Applications. Your password should be kept confidential. Your password will also allow you to review and change the information we collect about you and your student(s). ZoomChess may send users newsletters and service-related announcements to users email accounts. Users may unsubscribe from any ZoomChess newsletters at any time, simply, on the website. We will send users service-related announcements on occasions when it is necessary or advisable to do so. For instance, if our service is temporarily suspended for maintenance, we might send an informational email. No data transmissions over the internet can be guaranteed to be 100% secure. Consequently, we cannot ensure or warrant the security of any information you transmit to us and you do so at your own risk. ZoomChess WILL NOT sell, trade, or assign any unaggregated personal information that it collects to third parties outside of ZoomChess. We, however, may aggregate the information that we collect from users of our website to create demographic profiles and performance profiles regarding the progress of students who use the programs. ZoomChess may share aggregated information with advertisers, marketing professionals, or potential investors. This aggregated information will be compiled and reported in the form of ANONYMOUS group statistics only. 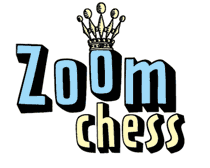 In addition, in order to offer and improve the Applications, ZoomChess may share Registration Information about the parents, legal guardians, and school officials that register to use the Applications, along with such registrants’ Participation History, to contractual business partners of ZoomChess that are directly involved in the sale, distribution, operation, maintenance, and support of the Applications on behalf of ZoomChess. ZoomChess applications use “cookies”. A cookie, also known as an HTTP cookie, web cookie, or browser cookie, is a small piece of data sent from our web server and stored on your computer, then sent back to our server by your browser each time you use our website. Cookies are a required to operate ZoomChess. If you do not have your browser set to accept cookies, ZoomChess will not work. Cookies cannot be used to gather personal information from your computer.